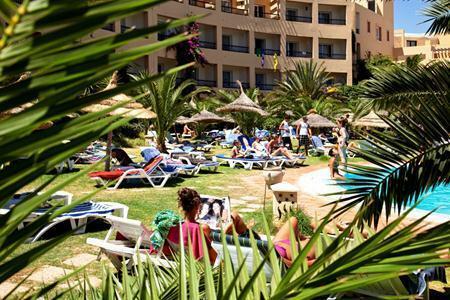 El Olf Hotel has indoor and outdoor swimming pools, a Spa as well as a daytime and evening entertainment programme. 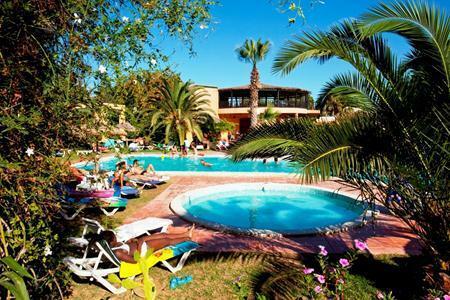 El Olf Hotel has an outdoor swimming pool and a sun terrace with sun loungers and parasols as well as an indoor heated swimming pool and a Spa. 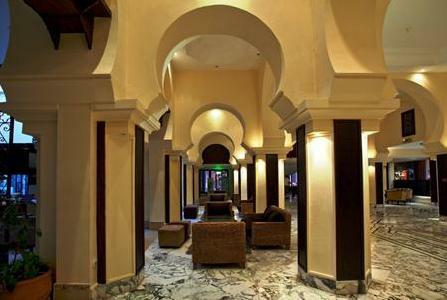 The Spa features a jacuzzi and offers massage treatments. Further leisure facilities include a bowling alley, a tennis court, table tennis, beach volleyball, water polo and aerobics sessions. The entertainment team organise daytime activities and a mini club for for children aged 4 to 12 during the school holidays. In the evenings there are sketches, shows and theme nights. 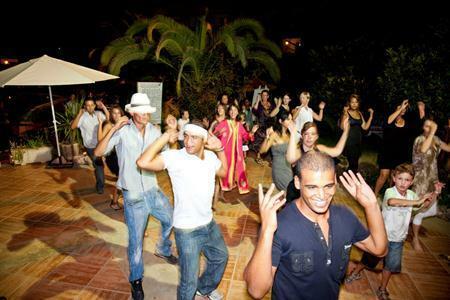 Social and dining venues include a choice of bars and places to eat as well as a disco with a DJ. 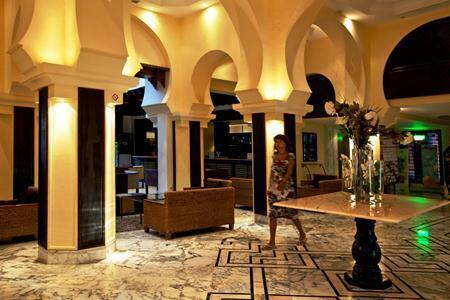 The main restaurant serves international cuisine and is open for breakfast, lunch and dinner. 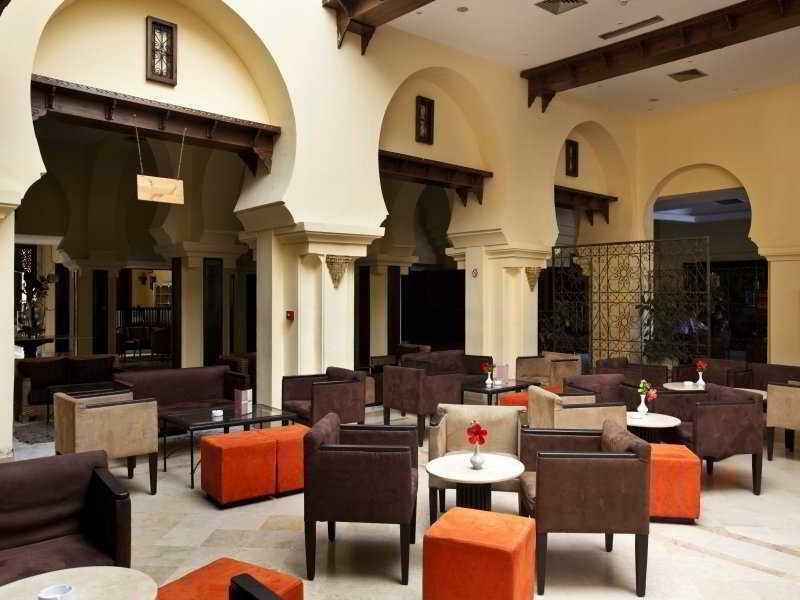 From June to October there is also a pool-side bar and a beach bar both serving drinks and snacks throughout the day. 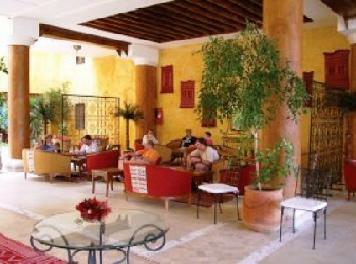 The lounge bar is open every evening and the all inclusive bar is open from 10am to 11pm. Amenities and services available to guests include 24 hour reception, free WiFi in public areas, concierge, currency exchange, lift access to upper floors and car parking spaces. There is also a laundry service, car hire, a hair dresser, safe deposit boxes and baby sitting (all with local charges). There are 174 comfortable hotel rooms, comprising 89 double rooms, 47 triple rooms, 18 quadruple rooms, 18 apartments and 2 junior suites. The rooms each have a spacious en-suite bathroom with a shower and a balcony with views over the swimming pool or the gardens. 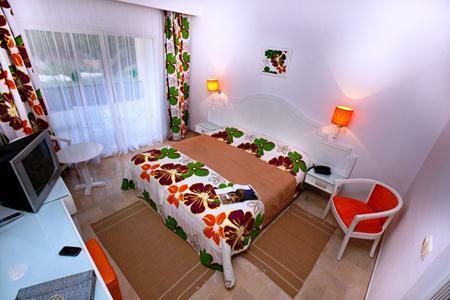 Rooms feature WiFi (local charge), satellite TV, a desk, a hair dryer, a telephone and air conditioning. (Please note: government restrictions only permit air conditioning between mid June and mid September). 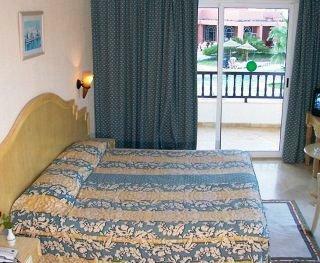 El Olf Hotel is located just 300 metres from the beach at Yasmine Hammamet. 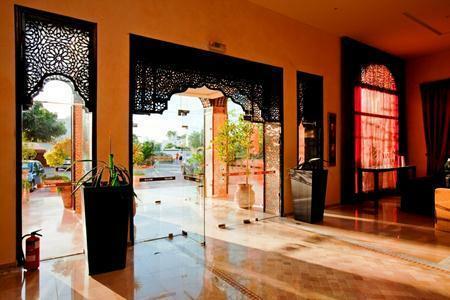 There are 2 golf courses nearby and the Marina and the Medina are in easy reach. Carthage Land Theme Park is approx 20 minutes walk away.